Two weeks ago, I was invited to partake in a tea infused moon cake making class. I was in two minds whether to attend because although I love baking, it has never occurred to me to try making moon cakes. I was kind of intrigued by the fact that the moon cakes would be infused with tea as well. Tea and cake, just the very idea puts me in a relaxed mood. And hey, I could have a fine time sipping tea from one of my favourite brands while the Partner does the baking instead. 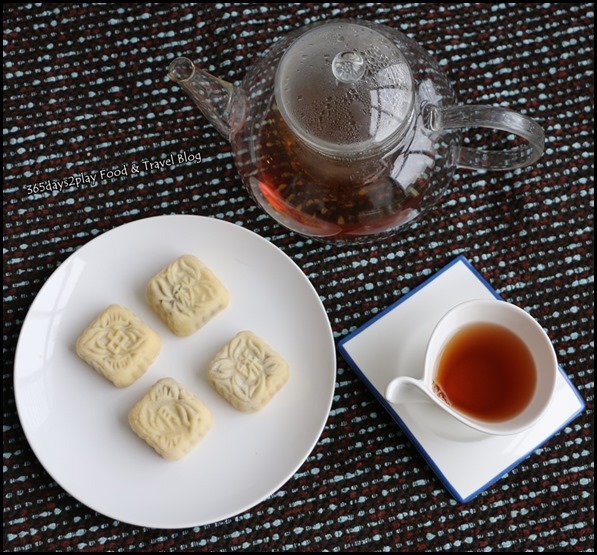 Here’s a picture of the final product, the 1872 Clipper Tea Company infused snow-skin mooncakes with a cup of the award winning Timeless Earl Grey. Last minute mooncake shopping 2013! The Mid-Autumn Festival is nearly upon us. September 19th, Thursday is the big day! Have you planned anything interesting? When I was a child, the week leading up to the Mid-Autumn Festival, or the moon-cake festival as I sometimes call it, would be licence for us kids to tot around lanterns at the playground. Maybe I haven’t been looking out for it, but I get the feeling that children these days don’t go gaga over the lanterns as much? I don’t feel as if I’ve seen many pretty toy lanterns being put up on sale. Anyway, for the adults, the most iconic thing about Mid-Autumn Festival would be the eating of mooncakes. Selecting a good mooncake is no easy job, and worse still, they aren’t cheap! It’s hard to tell which mooncake is the best, especially when you’re sampling tiny morsels at the mooncake counters. Most people end up buying from the famous hotel brands, or they simply choose mooncakes with the prettiest boxes. Yeah, it’s become a box buying ritual rather than a mooncake buying ritual, but with the eye-catching and innovative mooncake box designs out there, who can be blamed? The truth be told, people mainly buy mooncakes because of symbolism. Like it’s respectful and courteous to give a box to your parents or your elders. I mean, do you hear of people craving for mooncakes in April? 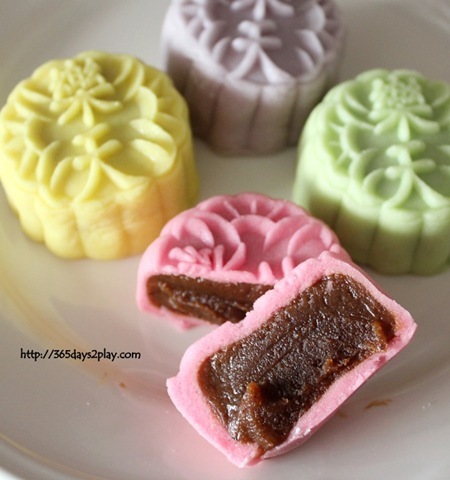 Not that mooncakes aren’t tasty, get the right ones and they are quite delectable. But they are soon forgotten after the Mid-Autumn festival is over. In any case, the job has to be done, and this is the last weekend to throng the malls to find your favourite mooncakes. Here are some last minute recommendations if you haven’t already gotten yours! Your best bet is to go to one of the big shopping malls such as Raffles City Shopping Centre or Takashimaya (Event Hall) and Vivocity where there will be rows and rows of booths featuring all manner of mooncakes. Even the hotels will set up a stall there. You can sample to your heart’s content, but mind the calorie count! These are refreshingly fresh tasting on the palate, and come in vibrant mooncake skin colours. Flavours include revitalising green apple, energizing orange, summery pomelo and rejuvenating cranberry. 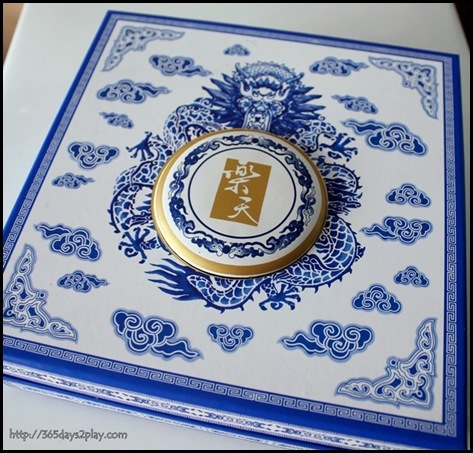 Love these eye-catching moon cakes that I would say are very kid friendly! While we’re all in the mooncake mood, here’s more mooncakes I tried from the Paradise Group. 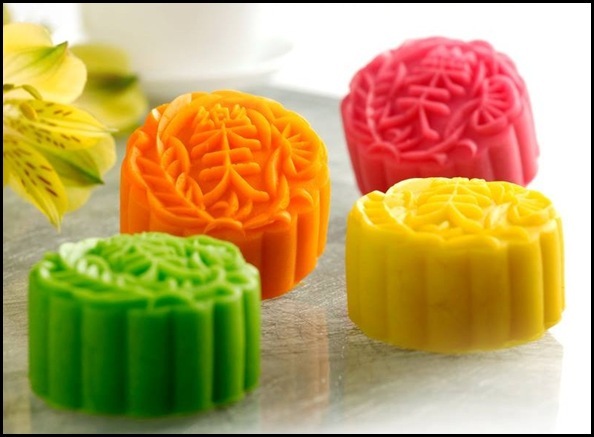 This year, Paradise Group has created a range of new mini snowskin mooncakes that are infused with delicate Oriental flavours which might once be enjoyed by Imperial courts in the ancient times. These colourful mini snowskin jewels are intricately handcrafted and come in four exquisite flavours such as Hakka Lei Cha in Pandan Snowskin that bears a distinctive nutty character and mild green tea-like sweetness, balanced with an aromatic pandan fragrance. There are also floral-tinged innovations like the Rose with Purple Glutinous Rice in Yam Snowskin, and Sweet Osmanthus in Osmanthus Snowskin. 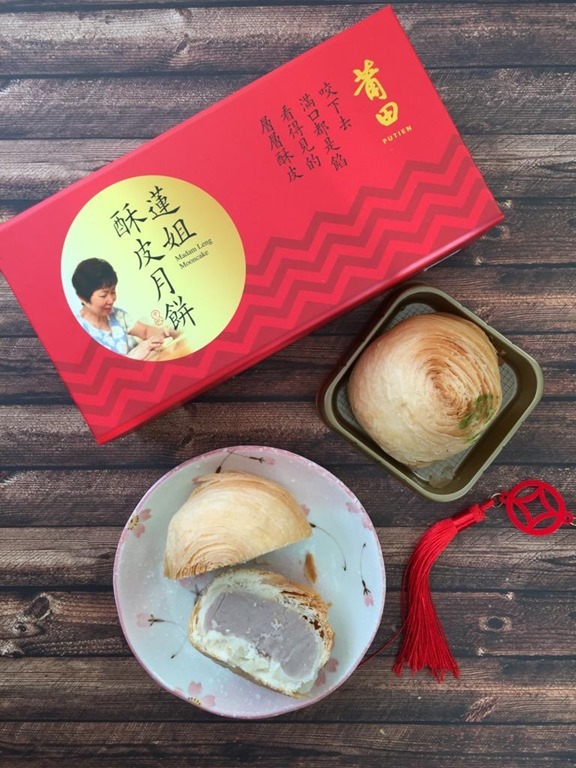 Those looking for a revitalising choice will be intrigued with the Red Dates with Wolfberries in Strawberry Snowskin mooncakes that leave a lingering sweet and fruity taste. Befitting royalty are the perpetual favourites of Imperial Mao Shan Wang Durian in Mango Snowskin mooncakes that are made with the highest grade of durian and encased within a smooth mango-scented snowskin. Sick and tired of the usual moon cake offerings each year? Wanna impress your parents, your in-laws or your clients but not sure if they’ll actually be impressed with what you might think is the best flavour/best looking box/best design?? Fret no more because now you can really indulge your loved ones this Mid-Autumn Festival with signature ice cream mooncakes from Häagen-Dazs! I believe Häagen-Dazs is the only place in Singapore that retails ice cream mooncakes! How innovative is that? I mean the last significant innovation in the mooncake arena were the Snow Skin mooncakes right, and that was 10 years ago maybe? Anyway, there are 4 different ice cream mooncake flavours to choose from : White Chocolate, Dark Chocolate, Milk Chocolate and Strawberry Chocolate. All 4 flavours have a crispy praline base and a Mango Sorbet ‘yolk’ in the centre to symbolise the full moon. The refreshing ‘yolk’ complements the creamy ice cream filling and the scrumptious crispy base perfectly, delivering a unique taste and texture in every bite. Available in a 4-piece Classic Gift Set or 2-piece Petite Gift Set, the exquisite boxes bring the festive mood to the ultimate level, making it the perfect gift. The mooncakes are also available as dine-in creations, accompanied by exquisitely handcrafted fruits at all Häagen-Dazs outlets. The luscious Häagen-Dazs ice cream mooncakes are available only until 30th September 2012! 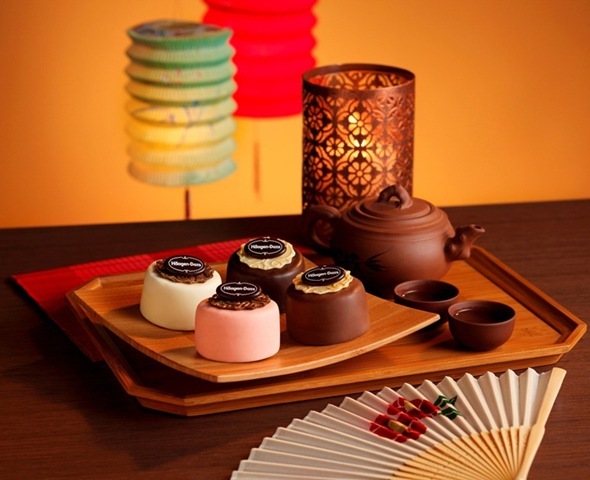 Häagen-Dazs Ice Cream Mooncake gift vouchers are available for both Classic and Petite Ice Cream Mooncake gift sets. Redemption of vouchers will be till 15th October 2012. These vouchers can be bought at the Häagen-Dazs cafés as well as booths. This year, the booths will be located at Takashimaya (No.32 from 30th August to 30th September), Vivocity (No.20 from 11th to 30th September) and Century Square (No.16 from 14th to 29th September).